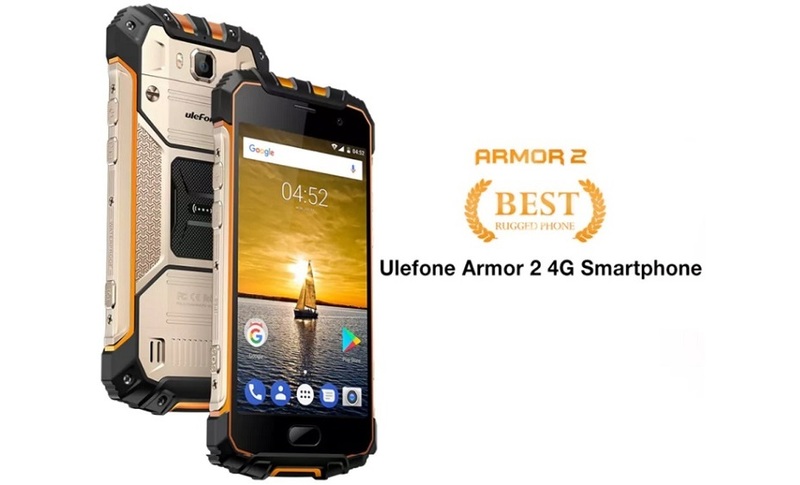 Ulefone Armor 2 Smartphone is the 4G compatible, IP68 Waterproof rated, and the Rugged capable device powered by Android mobile operating system. This phone is most durable, military grade, and toughest Android device in terms of build quality and structure. If you're a frequent traveler, journey lover, hiking enthusiast, or a sports geek, then absolutely without any doubt this smartphone is made for you. In this article, you will get the detailed information and Review of Ulefone Armor 2 Specifications, Features and Price. Ulefone is quite a popular and well-known Chinese brand manufactured some unique smartphones, phablets, and tablets which other companies don't usually focus on. The best example is Ulefone Armor 2 Smartphone made with some great specifications, features and functions like IP68 Waterproof Design, Most Rugged and Durable Build, 4G and NFC Functionalities, Latest Android Nougat 7.0 Pre-Installed, Helio P25 Processor, 6GB RAM + 64GB ROM, Long 4700mAh Battery, Fingerprint Security, 16MP Back + 13MP Front Camera, Global GSM Network Support, and much more. 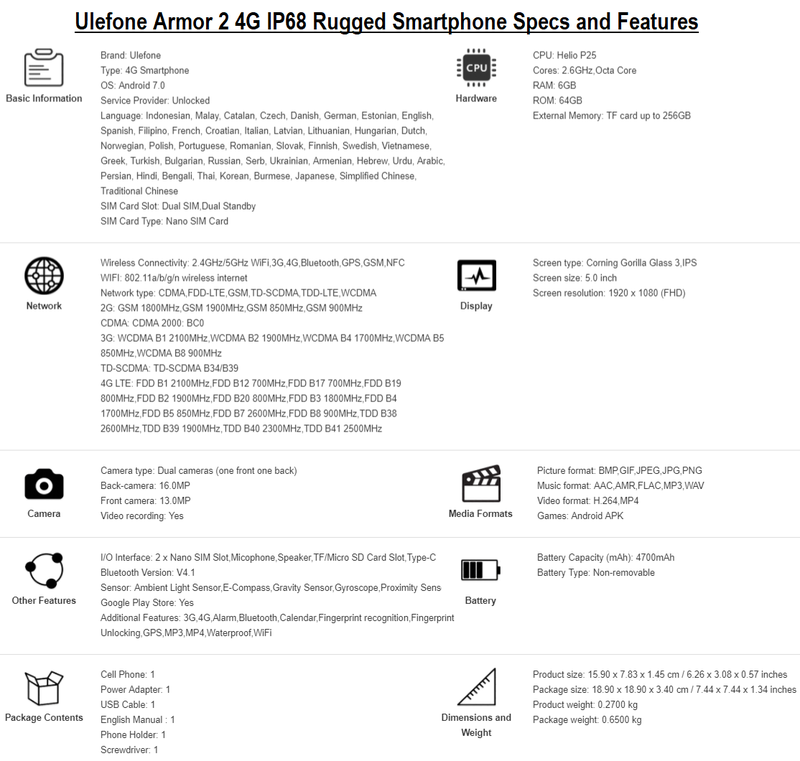 You can read full features and specs of Ulefone Armor 2 device in the following image. The official price of this beast phone is $299.99 USD at GearBest Store, You can also buy this smartphone online from various other online stores, but if you want to get a massive discount on Ulefone Armor 2 regular pricing, then buy this from GearBest HERE at very cheap price of just $259.99 USD with free gifts valued at $19.99 without any additional cost for a limited time. Ulefone Armor 2 Smartphone is available in two attractive colors i.e. Khaki Gold and Gunmetal Gray.